Black lace applique and Jack Skellington iron-on patch. A little less elaborate, a bit more gothic, and shock, barely any beadwork...but I love it! Below is the actual tutorial. 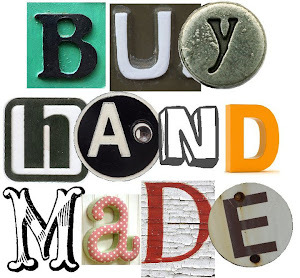 Please visit the G&G blog for tons of other fantabulous projects! 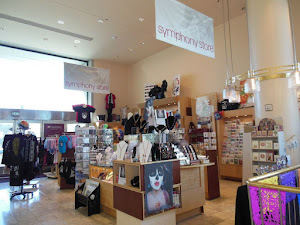 We have a treat for you today! 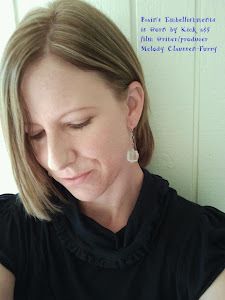 A tutorial designed by the awesome Holly Stinnett. Thanks so much Holly! 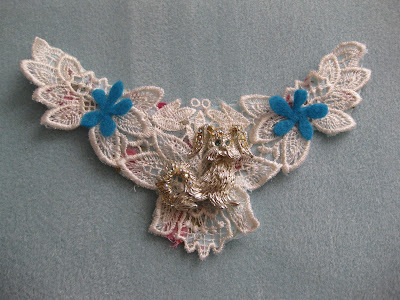 I used a sweet vintage puppy brooch that belonged to my grandmother as the focal point for this piece. 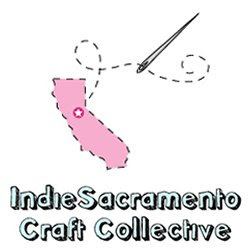 Any brooch that appeals to you will work great! 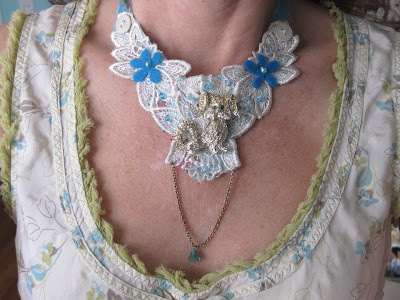 Utilize a lace appliqué as the base and background for the fabric necklace. 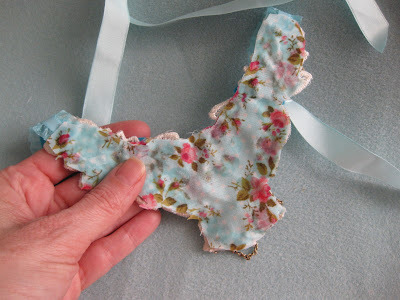 Take a piece of fabric and cut a little larger than the appliqué. 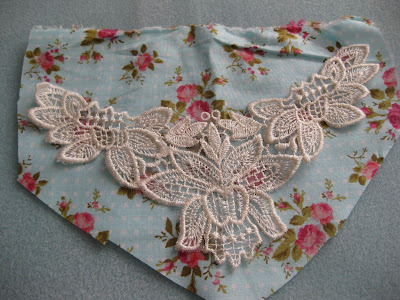 Machine stitch around the edges. Cut the fabric just slightly behind the edge of the appliqué. I like the frayed look so I was not concerned with bits of fabric or strings peeking out. 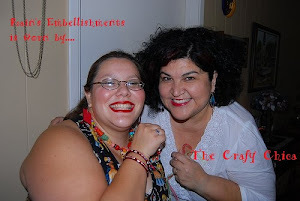 Pin the brooch in a desired spot. Stitch in a couple places to hold securely (if needed). In this case, the brooch was a little top heavy so stitching around the puppy’s ears and tail helped to keep him secure. 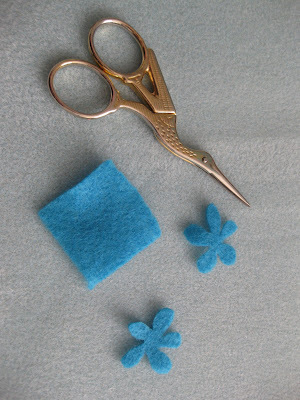 Randomly cut flowers out of felt. Secure with pearls or beads. I use a beading needle and beading thread. It’s extremely sturdy and easier to use with beads than a regular thread and needle. Randomly bead more beads in various areas. 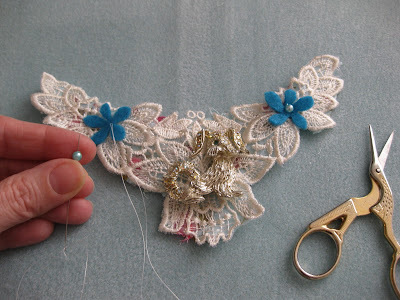 You can do as little or much beading as you like. 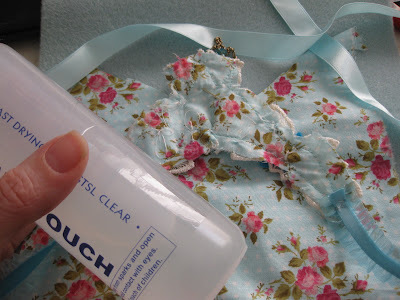 For this tutorial, I just added a little beading here and there for some sparkle. 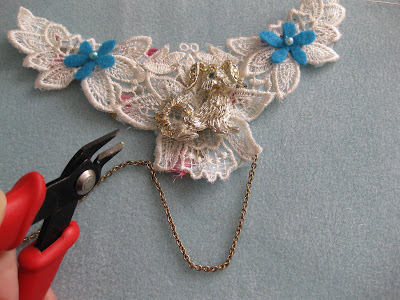 Select a chain necklace and cut to desired size (this chain was from a vintage broken necklace). 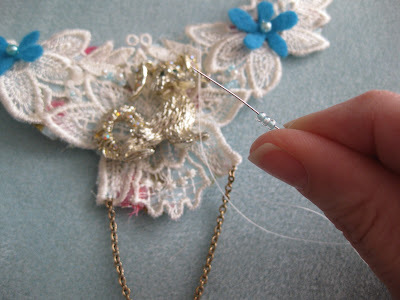 Use the beading needle and thread through the last link to secure the chain into place. Stitch the link several times to make it very secure. 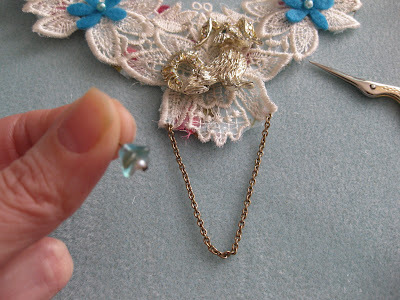 Add a charm bead by creating a little loop so it will dangle from the piece of chain. Randomly sew beads onto the appliqué. Select ribbon. 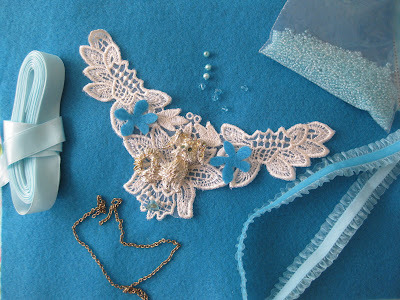 Machine sew the ribbon directly onto the appliqué. 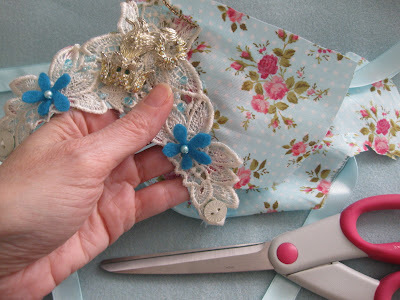 Hand sew vintage buttons for more embellishing directly on the appliqué and ribbon. You can add another piece of ribbon with more buttons at this point if you like. The overall length of the ribbon is about 20 inches. This will be tied around your neck. As a final step I like to cover the back to hide all the threads and stitching so I cut another piece of fabric and this time glued it with fabric glue. Then gently cut around the edges of the appliqué one more time. Again, a little fabric peeking out is fine and adds to the sweet, homemade look. Your necklace is complete. Simply tie it around your neck! Jack never looked so stylish! 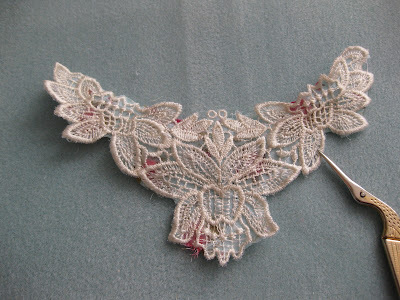 I love necklaces made with lace appliques, very pretty! 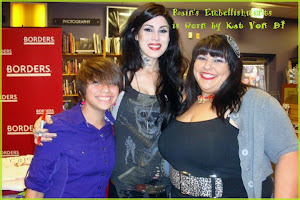 I love your Jack Skellington necklace, more so than the one that inspired you! I am lullabye123 from swap-bot. We were not partnered in the swap, but I HAD to check everyone's blogs out! Also, the Jack choker/necklace is absolutely divine!! Wow. Amazing!! xoxoxox. HI! This is Wordsnob from Swapbot Be my blog follower on Blogger swap. I love the Jack Skellington necklace! My 16 year old wants it! I'll definately be back to be inspired by you! It's come out beautifully...creativity can take you way ahead.Lovely work here.I love the delicacy and the look of the pendant. Thought this a cute idea. Good presentation too. I can't wait for LOST!!! !